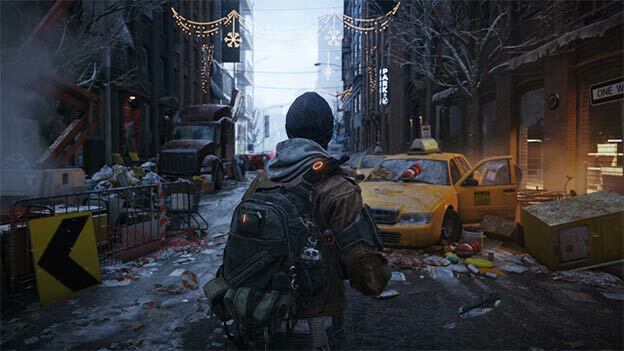 At E3 2013, we got our first look at Tom Clancy’s The Division. It set the stage for the game, in a post-apocalyptic world where a deadly virus has wiped out most of the human population. Released on Black Friday, the virus left much of the American world, especially the population centers, in a sort of suspended chaos. Cars litter the streets, shops have their doors busted open, and the few who were lucky enough to survive cower in their homes for fear of the outside world. Only a few brave souls, courageous enough to take up arms against roving looters and marauders on the streets of New York City, have brought any sort of order back to this world. Unfortunately, E3 2013’s demo was mostly just a proof of concept. It was enough to get our mouths wet but it didn’t actually show us any gameplay. 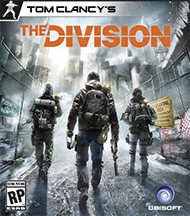 Cue E3 2014, where we were shown more than enough gameplay to know that this game is legit and will be one of the big open world shooter releases of next year. 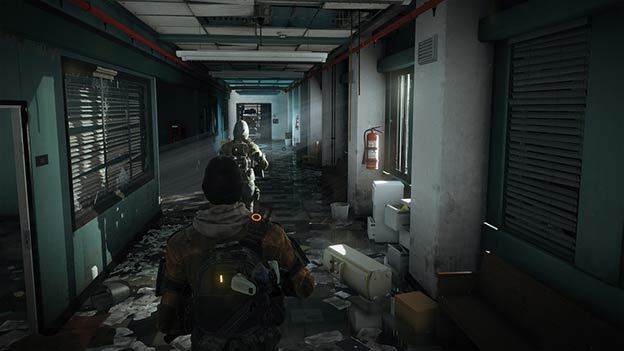 A big part of survival is territory acquisition, and that plays a big part in The Division. Hostile factions are littered across New York City and are ready to shoot you in the face if you make one wrong move. However, if you are able to clear them out of a building or warehouse, you can turn that location into a safe house for you and other refugees. The gameplay demo we were shown focused on taking down one stronghold and showing how many different ways you can do it. You may remember the stage demo for the game at the Microsoft press conference. Players started underground in abandoned subway tunnels. They used a very detailed holographic map in order to plot their course to the building that they were going to take. The players used the same technology to research their surroundings. By checking an info point, you will see a holographic overlay of past events. In this case, it was a riot at a train station, showing off missing and or injured people, and a train barely holding its passengers. The characters weren’t guided by some quest system or narration. Instead, every player was his or her own person. They worked together to form a plan of attack and a route. Much of the game is like this, allowing you to make your own goals. Once again, “open world” was a big buzzword at this year’s E3 and The Division is taking advantage of that. As they came out of the subway they ran headfirst into hostiles camping outside of a base. The players were able to switch their skills and equipment on the fly as they planned a way to take them out. One player drew agro while the others took cover and waited for the action to go down. What ensued was a cover based fire fight filled with flash bangs, strobes, grenades and more. The battle showed off the ability for teammates to heal each other when downed, interact with the environment to cause distractions (exploding paint cans were shown off here), and even the existence of heavily armed boss marauders. After the big fire fight, they managed to take back the base and head inside. However, if stealth is more your thing, Ubisoft has you covered. 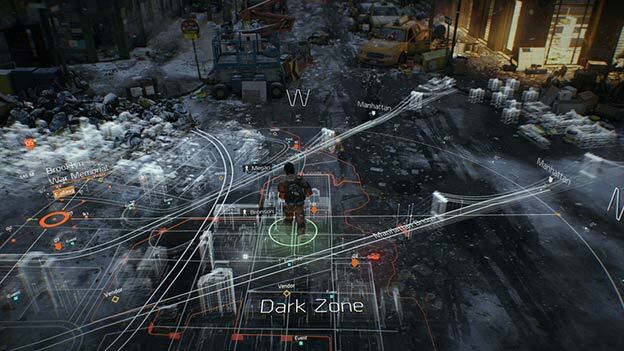 In a second gameplay demo, Ubisoft showed the players taking the same route, but under the cover of night. The crowd was much smaller then, and easier to manage. Instead of going directly into the crowd, they crossed the street and entered a shop that was filled with enemy combatants. They slowly took out each member of the enemy force and operated a generator which “increased the security” of the area. Basically, it made it less likely for hostile forces to operate there. By liberating the store and activating the generator, the remaining marauders fled, giving us access to the safe house that we saw in the E3 stage demo. Much of the rest of the game will progress in a similar fashion. You’ll choose what key points of interest you want to take, devise a plan to take them, and slowly make your way through the city, making it safe for others. Unfortunately, there was a lot about the game we still don’t know. We aren’t sure how safe houses work or if there will be a main goal to the game or if this is just one big post-apocalyptic sandbox. Ubisoft was sure to tell us that more information will be coming soon. TAKE BACK NEW YORK: Welcome to a new generation experience, where exploration and player-progression are essential. Teaming up with other Division agents, your mission is to restore order, investigate the source of the virus and Take Back New York. A LIVING AND BREATHING WORLD: Enter a universe where the time of day and weather conditions deeply impact your gaming experience. Use the environment to a strategic advantage to dominate fights and ambush your enemies. URBAN JUNGLE: New York City is being overrun by hostile groups that are trying to take advantage of the crisis. One such group is The Cleaners. Wearing hazmat suits and wielding flamethrowers, the Cleaners leave nothing but ash in their wake. THE AGENTS OF THE DIVISION: Trained to act independently from any chain of command, Agents are autonomous and adaptive, working alone or in small groups. They are the last line of defense, activated when all else fails to save what remains. GEAR UP: As a member of The Division, harness state-of-the-art technology. Customize your character and your back-pack, and communicate with other agents at all times with your smart watch. Customize and level up your weapons.